ICANN names new Chief Executive Officer to replace outgoing head Fadi Chehadé. 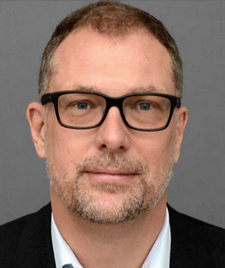 ICANN announced this morning that it has hired Göran Marby as its new CEO. Marby is currently the Director-General of the Swedish Post and Telecom Authority. Prior to that, he co-founded security software company AppGate Network Security, where he served as CEO between 2002 and 2009. He is a Swedish citizen and currently lives in Stockholm. He will relocate to ICANN’s headquarters in Los Angeles. There will be a two-month gap between current CEO Fadi Chehadé leaving and Marby taking over. Akram Atallah, President of ICANN’s Global Domains Division, will serve as acting CEO during this period. Want to be ICANN’s next CEO?